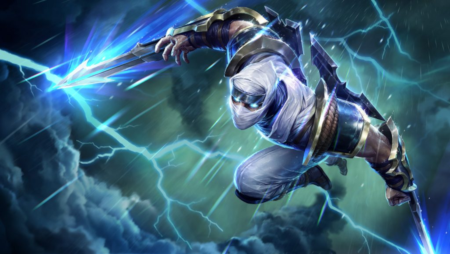 Zed is considered by most to be one of the trickiest outplay designation champions in the game. His shadows give him a massive amount of mobility, and his perfect invulnerability via his ultimate allows him to avoid otherwise devastating ultimates like Malphite or Sejuani. When you combine this with his massive single target and potential AOE damage output, it's no wonder he's one of the most banned champions in the game. Sustain through his poke damage. Malphite - Strangely enough, the champion that I just mentioned Zed can totally counterplay also has the highest win rate against him as a mid-laner. He can still build full armor (Sunfire Cape, Iceborn Gauntlet, Thornmail), which allows him to shrug off all of Zed's damage. Meanwhile, with no built-in sustain, Zed falls prey to Malphite's obnoxious poke damage. Lastly, Malphite's ultimate is much easier to hit than reacting to such a fast spell. Anivia - Zed mains generally don't think they have trouble against Anivia's slow-moving stun and low mobility, but the facts do show that Zed has the lowest win rate overall against her as a whole. She's not that good against him during laning phase, but is fairly unkillable as a result of her passive. Later on in the game, she zones off his team using her ultimate and ice wall, which results in forcing Zed into a solo-dive situation if he tries to engage. Nocturne - Last but not least is the ultimate counter to almost every melee assassin mid, Nocturne. We've talked a lot about his strengths and weaknesses in this article, but against Zed specifically Nocturne's spellshield takes so much wind out of his sails. It's very easy to save for Zed's ultimate, and without that Zed can't deal much damage. Got more tips for beating Zed or champions that work well? Comment below! Click here for more in this series!